US equity futures are indicating a higher open this morning ahead of a light economic calendar. Overnight, China was closed for the New Year’s holiday and Europe is firmly in the green. 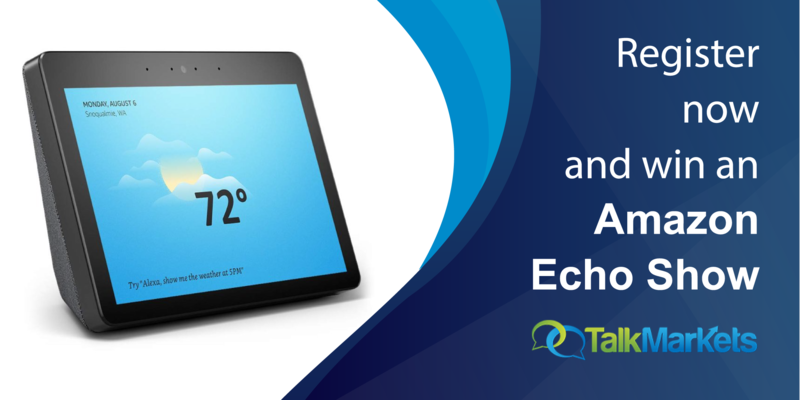 While futures are higher, tech is a notable laggard following poorly received results from Alphabet (GOOGL) and lowered guidance from Seagate (STX). After a slow start to the week Monday, investors once again started to buy stocks between the opening and closing bell as the S&P 500 finished the day up nearly 0.7% while the Nasdaq rose over a full percentage point. 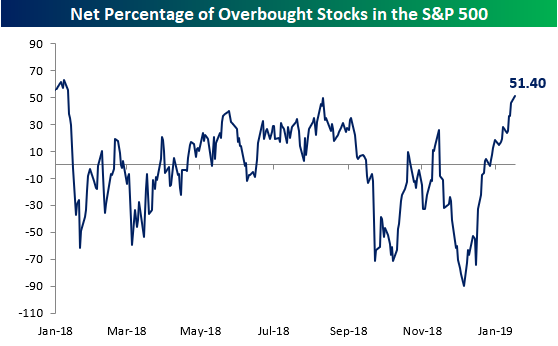 With the steady gains we have been seeing lately, the percentage of stocks in the S&P 500 trading at overbought levels continues to tick higher. As of yesterday’s close, a net of 51.4% of the stocks in the S&P 500 are trading at overbought levels (>1 standard deviation above 50-DMA), and that’s the highest reading since late January 2018 when the percentage reached 63.4%. Now, that was high! Read all about it in today’s Bespoke Morning Lineup. Start a two-week free trial to Bespoke Premium to see today’s full Morning Lineup report. You’ll receive it in your inbox each morning an hour before the open to get your trading day started.